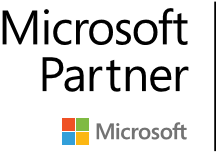 Cloud 9 Infosystems implemented Power BI solutions to showcase Real estate Asset Management Analytics for a Real estate Asset management consulting company. 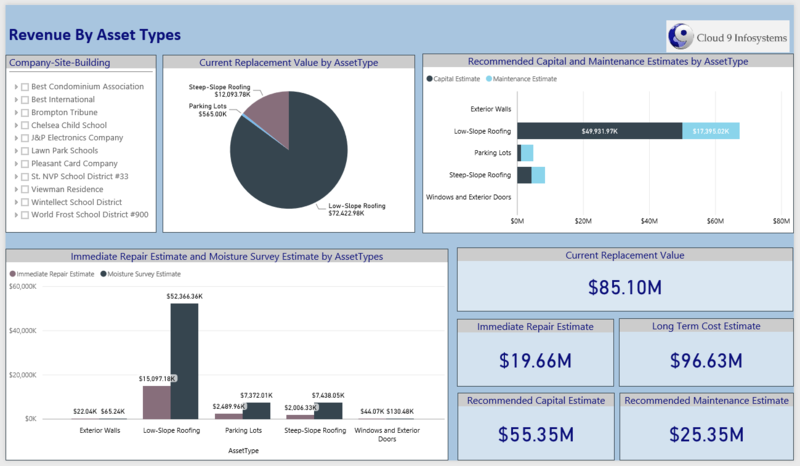 The dashboard provides information to Asset Managers to make effective decisions to efficiently manage their projected maintenance spend on scheduled maintenance and review excess spend on unscheduled maintenance work. 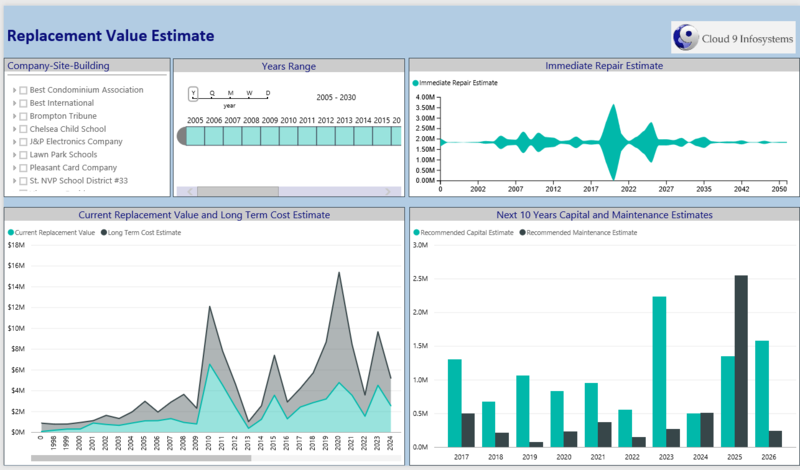 Real estate Asset Management Analytics, using the Power BI Technology, provides the Asset Manager with a complete set of interactive information to review when making their decisions. Immediate Repair Estimate, Current Replacement Value vs Long term cost estimate for the selected year range, Capital and Maintenance Estimate for next 10 years. Current replacement value for all asset types, recommended capital and maintenance estimate for all asset types, Immediate Repair Estimate for all assets types. 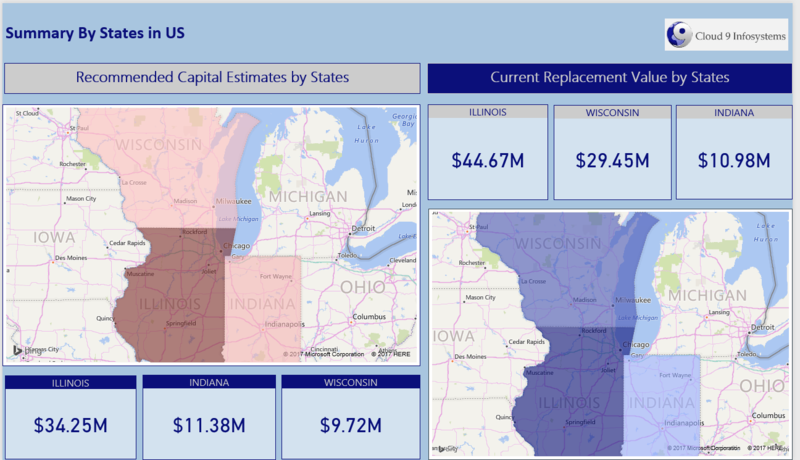 Also, cards holding the following information such as: Current Replacement Value, Immediate Repair Estimate, Long term Cost Estimate, Recommended Capital and Maintenance Estimate are displayed. Top 5 clients based on Current Replacement Value, Recommended Capital Estimate and Recommended Maintenance Estimate. Also, cards holding information such as: Current Replacement Value, Recommended Capital Estimate and Recommended Maintenance Estimate are displayed. This is a geographical representation of the replacement value and Recommended Capital Estimate of clients based on their location. This helps the consulting company to review their revenue by location.